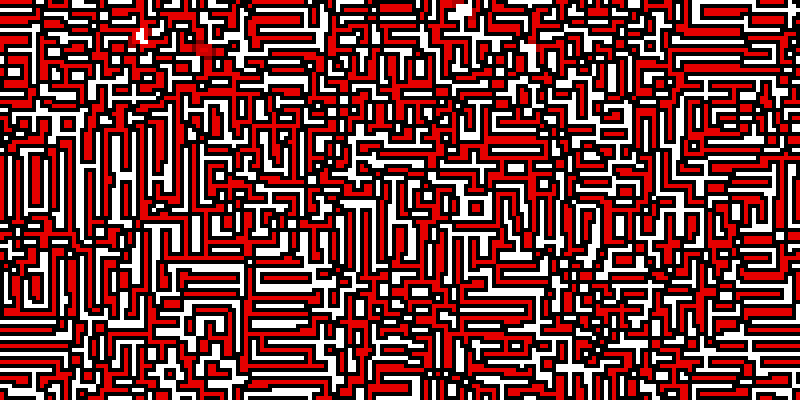 There are many life-like cellular automaton rules. To be specific, there are 262 144 of them. I have studied the rules that do not contain B0 or B1 in some detail. 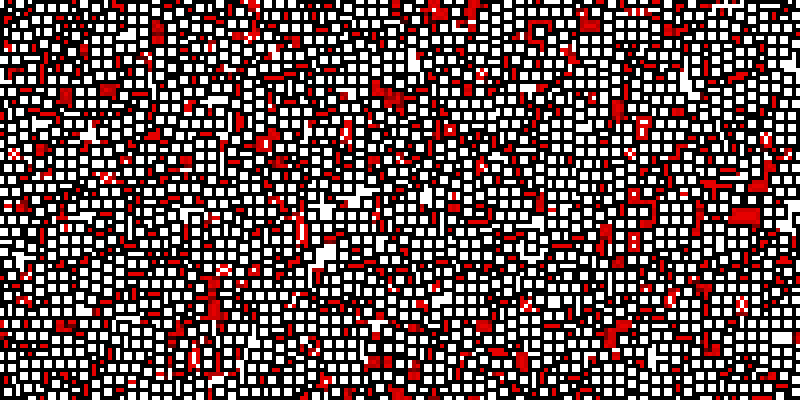 For each of these rules, I created an 80×80 torus with an initial 50% random soup and computed the 500th generation. 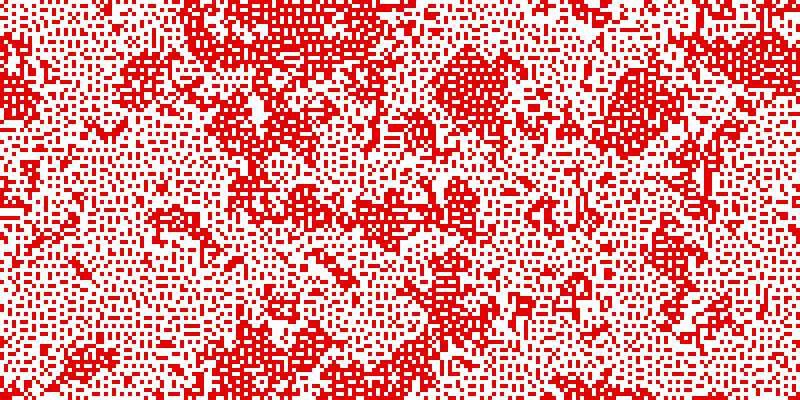 In the obtained bitmap image, live cells were coloured according to their age (1: red; 2: a bit darker red; ...; 10 and beyond: black). 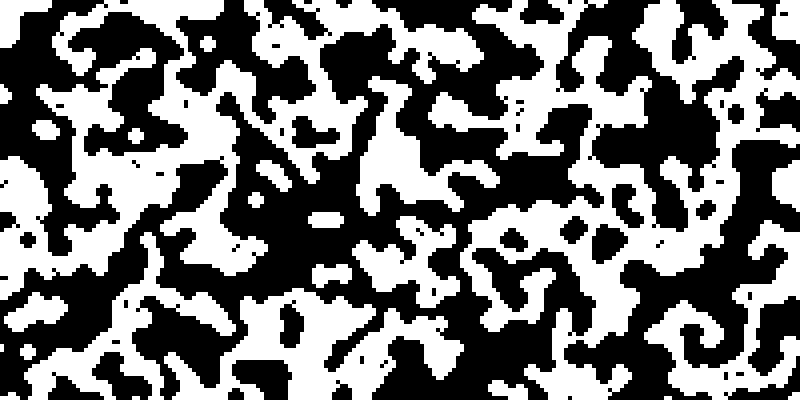 Then I studied these 65536 images one screen (198 bitmaps) at a time, investigating many of them further. 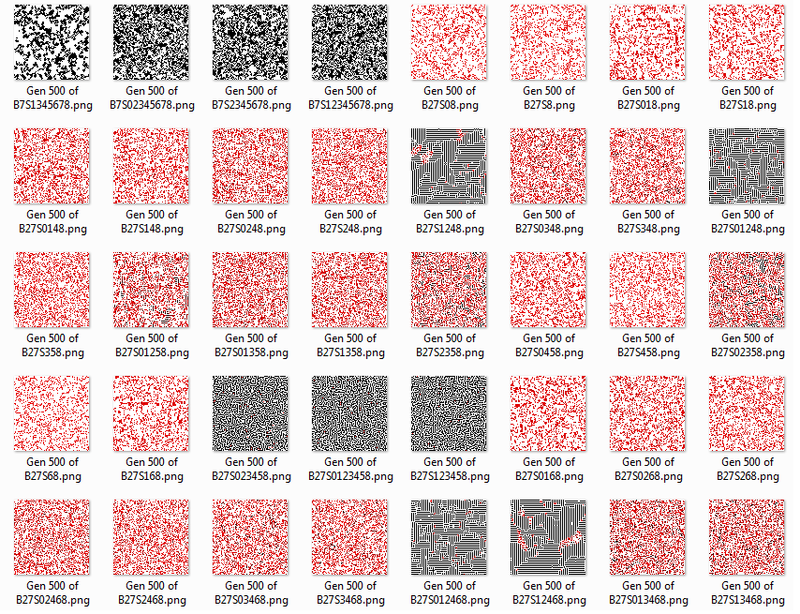 Not surprisingly, these 65536 bitmaps can very roughly be classified into a reasonably small number of “classes” according to the large-scale patterns they display. 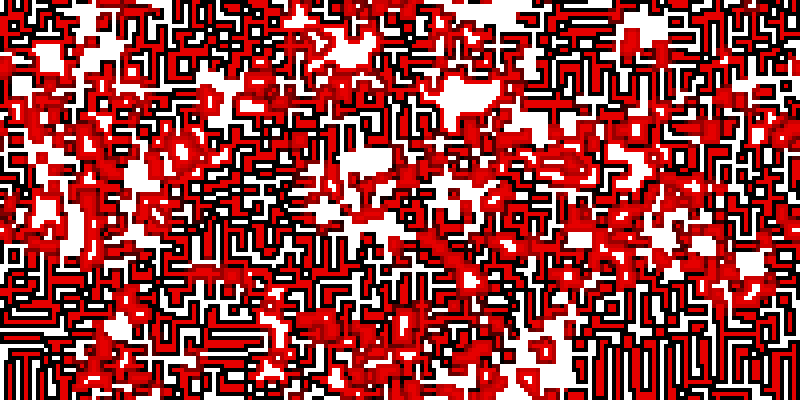 Two of these classes, the black and the red mazes, have already been described. Today we give a few other examples. Before doing so, however, three important points regarding the experiment should be made. 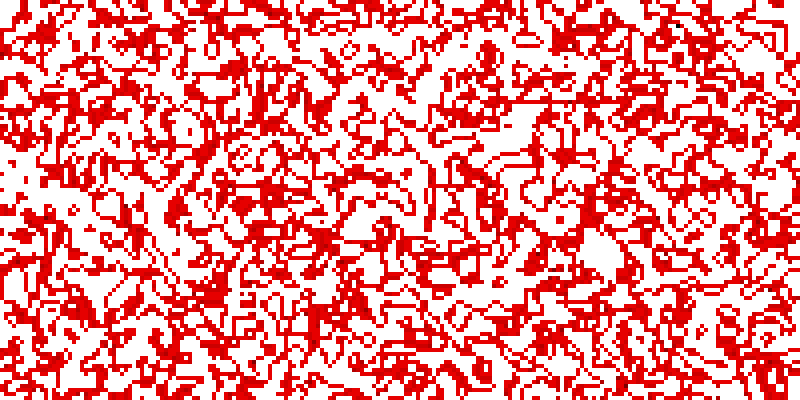 First, some of the bitmaps didn’t represent the final stage of the simulation. Second, I did not obtain any information about the behaviour of the rules prior to the 500th generation (and sometimes the journey is more interesting than the final outcome). Third, many features of life-like rules cannot at all be discovered by an experiment like this. 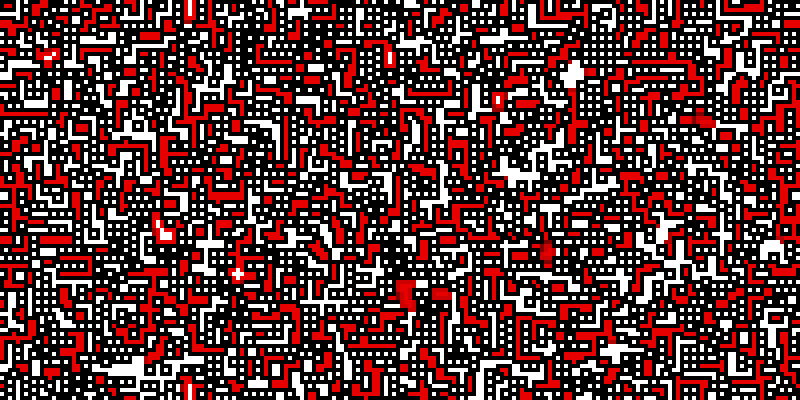 For instance, there are other seeds than the 50% random soup (like 2×2 squares and benzene rings) and spaceships aren’t detected. Still, the experiment gave me a better understanding of the life-like CA “zoo”. Tomorrow I will give six more examples (unless Linköping University contacts me, in which case I might suffer a breakdown).